With a jaw-dropping view of the Los Cabos landscape and a beautiful beachfront, the One&Only Palmilla welcomes you to the Mexican sunshine. 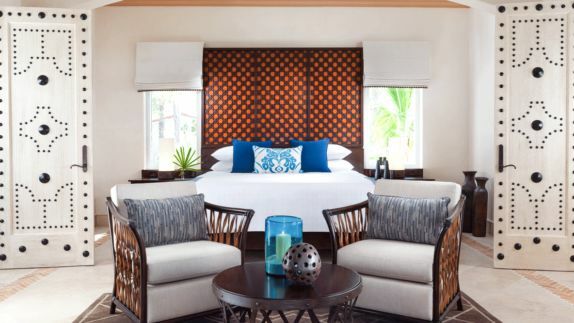 Wake up to the sound of waves gently caressing the shore of the golden beach, wander through the sculpted jungle of the resort and start your day with a poolside brunch. As the temperatures go up, take part in one of the several water activities or relax in the shadow of your private cabana. After an exquisite dinner at one of the resort’s restaurants, it is time to cling your margarita glasses as the sky turns into a composition of bright red, pink and hues of orange. 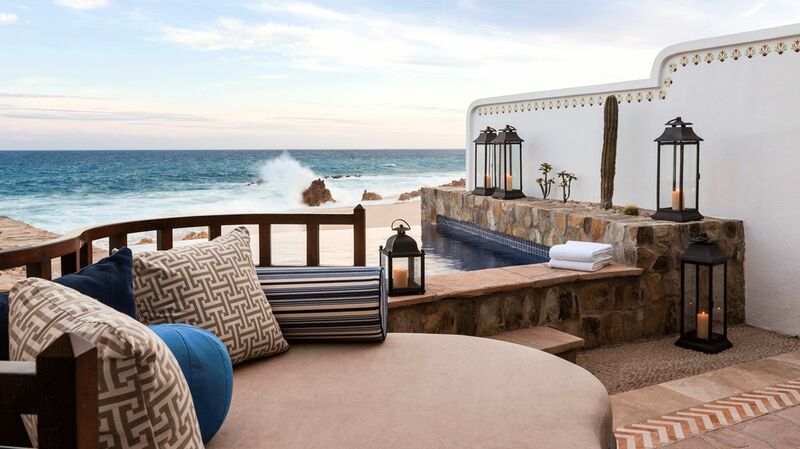 What makes the One&Only Palmilla unique compared to other resorts in Los Cabos? 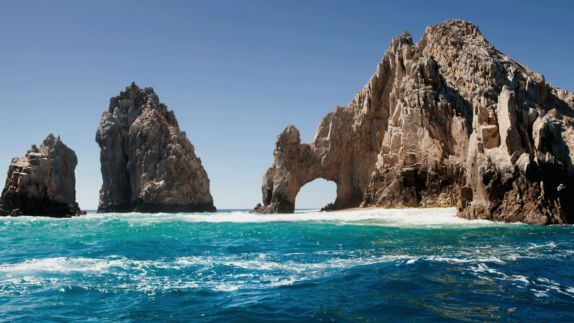 Play in crystal waters, that the famous author and researcher Jacques Cousteau once called the ‘world’s aquarium’, and get enchanted by the warmth of Mexican hospitality. 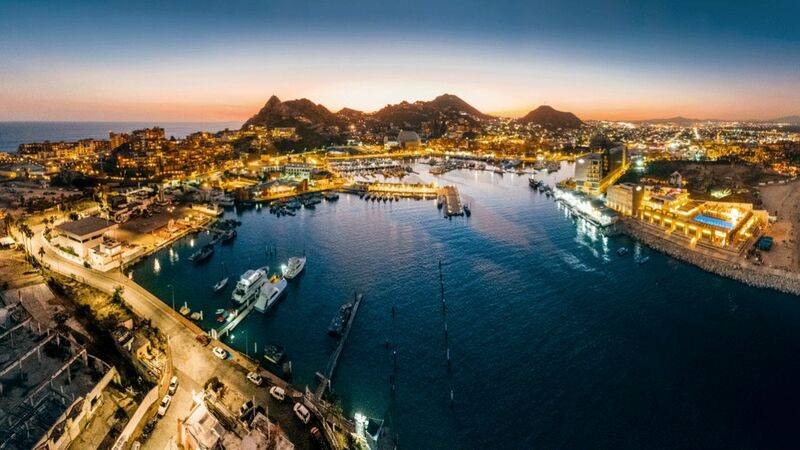 Located at the edge of the Baja California Peninsula, which parts the Gulf of California from the Pacific Ocean, the resorts rewards its guests with a picturesque view of golden beaches, breathtaking cliffs, and an azure ocean. 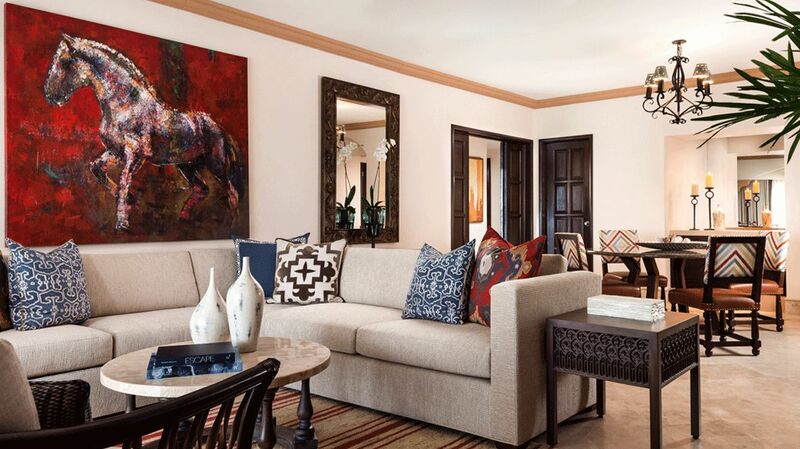 Situated among stunning geography, the resort and the surrounding land has a rich history. 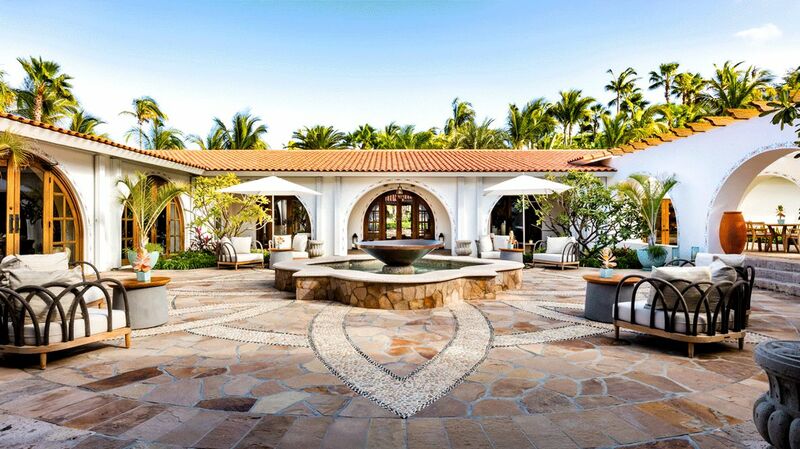 First built in 1959, as a secluded hideaway and deep-sea fishing base, the One&Only Palmilla attracted Hollywood legends like John Wayne, Lucille Ball, and even the former United States President Dwight D. Eisenhower. What can I expect from my room? How will my stay turn into an unforgettable vacation? Inspired by the “Haciendas”, the traditional estates of the Spanish Empire, all rooms and villas will make you feel like royalty. 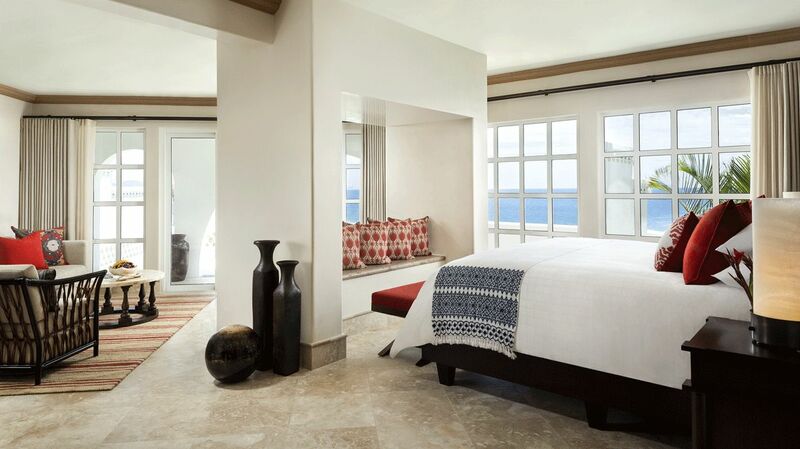 Designed with the highest comfort in mind, each room features floor to ceiling windows, luxurious details and elegant finishings throughout the private space. Situated high enough to have a panoramic view of the shoreline, the elevated rooms of the One&Only Palmilla allow the guests to get swept away by the dazzling Los Cabos sunrise over the Sea of Cortez and to fully surrender to pure bliss. How can I unwind after an adventurous day at the beach? Where can I get a glimpse into ancient Mayan healing? Every little detail at the One&Only Palmilla was designed with deep relaxation in mind to make your stay a truly serene experience. As you wander through the peaceful resort garden, take in the calming nature, refresh in the infinity pool and pass by the designated yoga garden, where relaxing yoga sessions will help you recenter. 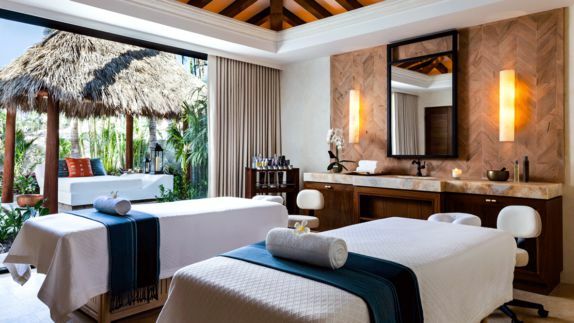 The smiling faces of their knowledgeable therapists will greet you as you arrive at the renowned One&Only Spa, one of Mexico’s best spa addresses, and treat yourself to one (or several) exceptional treatments. 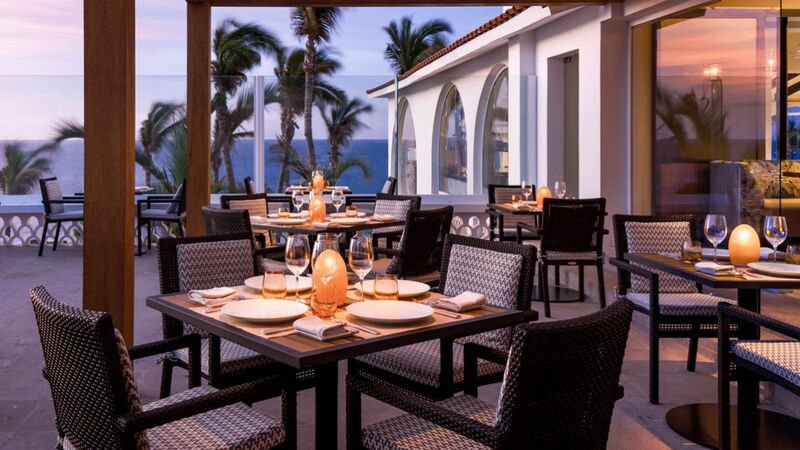 What is the must-try dish at the One&Only Palmilla? Will I be able to taste authentic Mexican recipes? 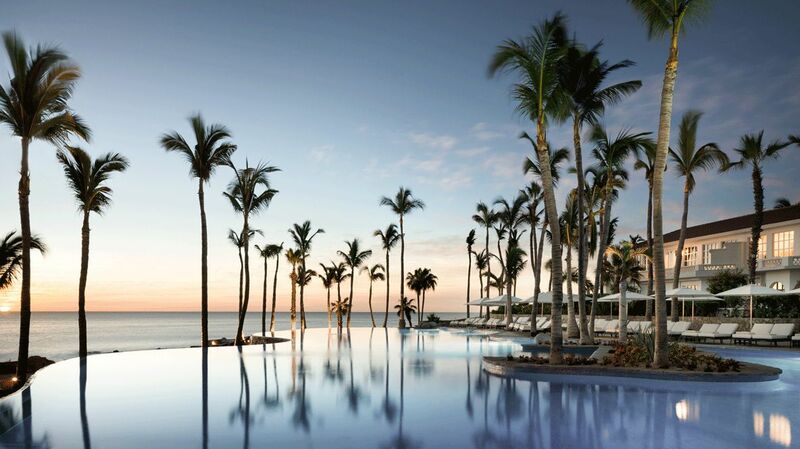 During your stay, you will certainly not be short of options, as the One&Only Palmilla offers you numerous elegant and also laid-back venues with a variety of cuisines. 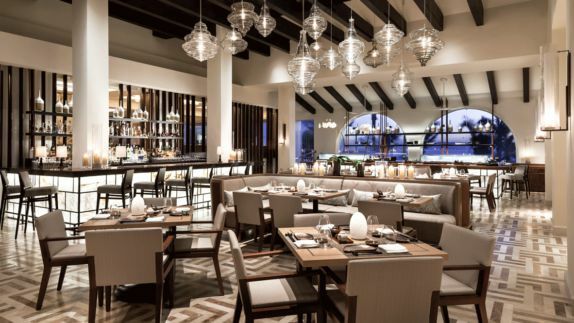 Jean-Georges Vongerichten, the Michelin-starred chef, welcomes you at SEARED and presents his excellent signature steak and seafood creations. If you are more in the mood for Sushi or ceviche, pay a visit to Suviche, the restaurant with exotic ambiance and picturesque views. 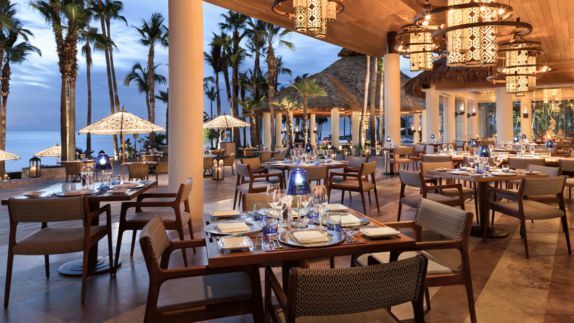 Alternatively, choose from the decadent Mexiterranean menu at Agua by Labri and dine outside to enjoy the warmth of the evening sun. The freshly shaken margaritas from Head Mixologist Philippe Zaigue, made with exclusive local tequila, are the only appropriate way to end your night. How can I enjoy the Mexican way of life? What kind of activities and excursions does the resort offer? 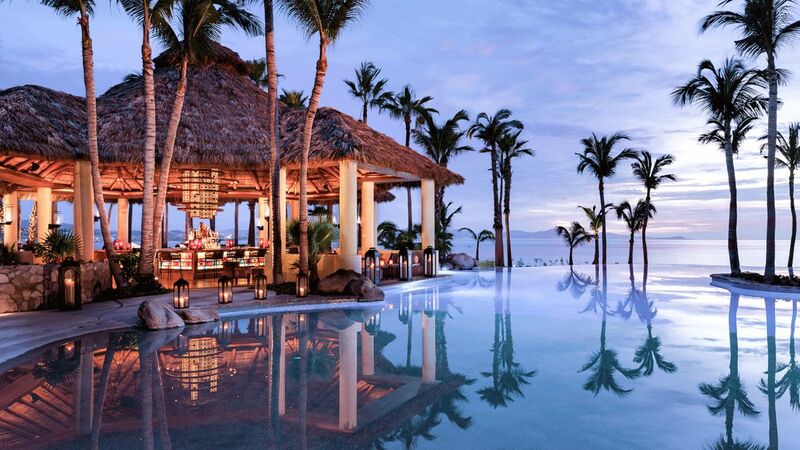 With a breathtaking beach right in front of the resort, the One&Only Palmilla presents its guests many entertainment options on the water. 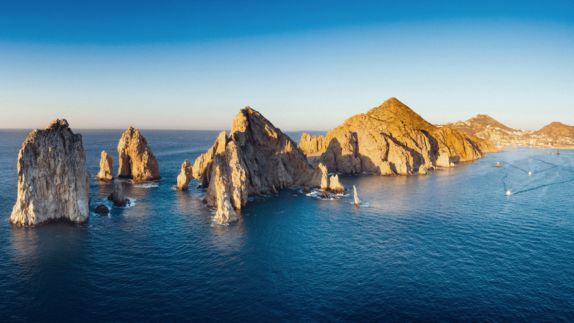 Whether you enjoy water sports such as kayaking and stand up paddle boarding along the pristine Baja coastline or rather observe the marine wildlife – the turquoise ocean offers activities for anyone. Don’t forget to go outside of the resort to explore the astonishing landscape and take the zip-line to glide through the greenery with a rush of adrenaline. Horseback excursions or mountain bike rides allow you to go off the beaten path to fully immerse yourself in the charm of Los Cabos.